I’m a sucker for it. I like it on my shoes. I like it in my clothes. I was obsessed with glitter pens as a kid. And if I could fart glitter — trust me that I would. 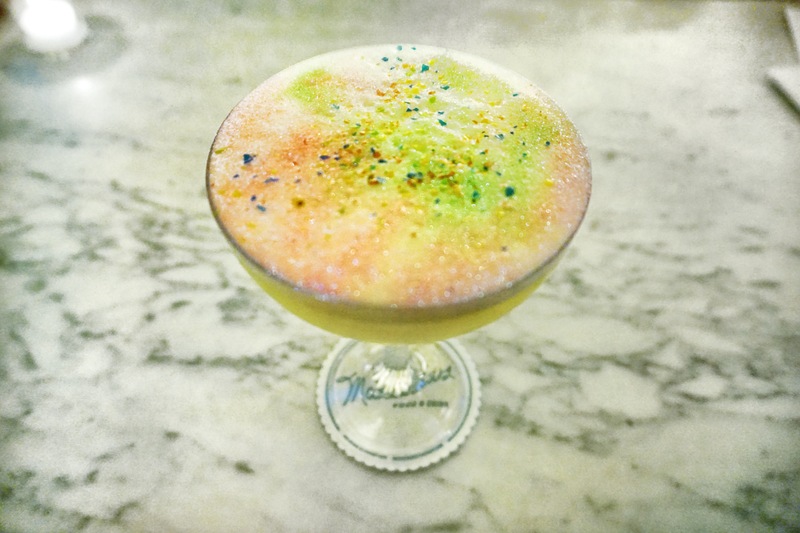 So naturally, when I heard about the glittery drink offered at Mathews Food and Drink, I pretty much cleared my schedule like I wasn’t going to be drinking anyway. Before I get to the drink — let me do a quick run through of my outfit. I like a good theme so I decided to go with glitter and run with it. BEHOLD MY AWESOME AND GLITTERY TOOTSIES!!! I bought these in February as I walked past the Easy Pickin’s storefront by my house. Were they an impulse buy? Clearly… see what I did there? But I also know myself. Glitter is not wasted my in life. In fact. The only Glitter I’ve ever hated was Mariah Carey’s 2001 box office FLOP. I’m not sure if they’re still available at Easy Pickins. The rest of the outfit sort of fell together because I was really feeling the pastel pallet. 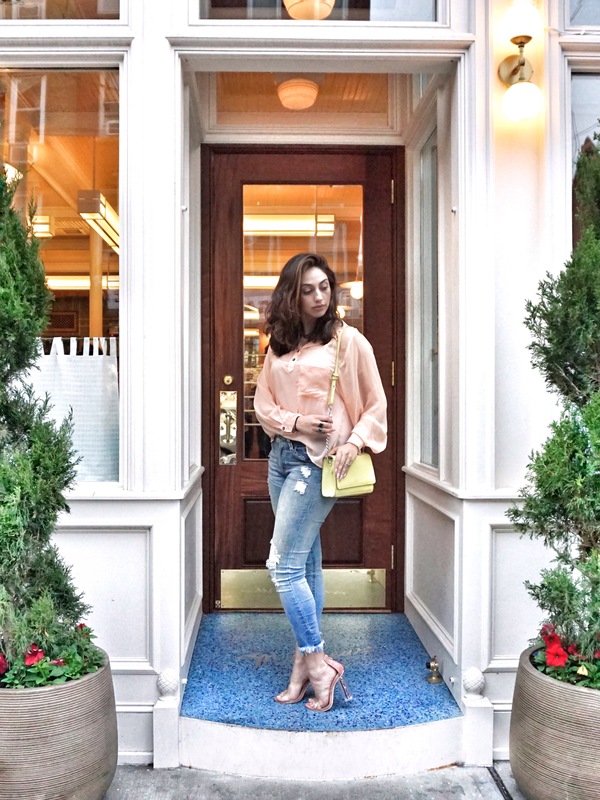 My top is a a few years old, Below are some links to shop similar. Now — back to my glittery drink. 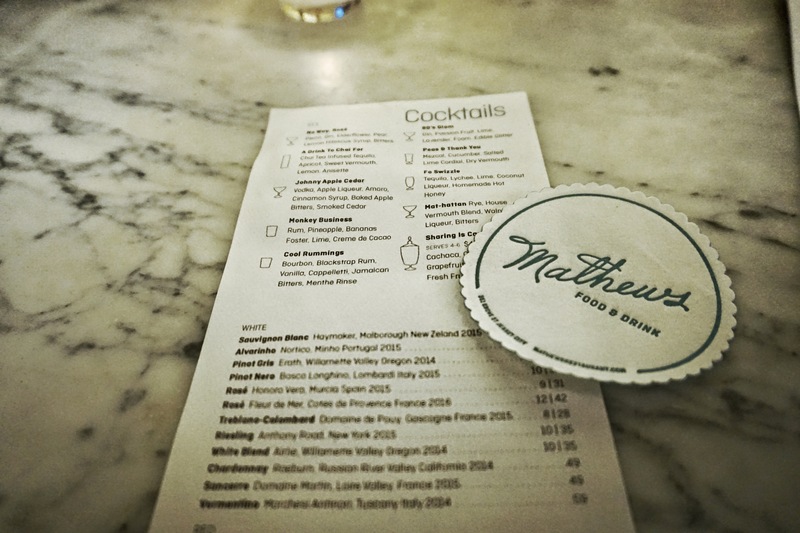 Mathews has several cleverly named cocktails — but no other ones with glitter. I also tried the “No Way Rosé!” because alcohol in general rosé is another thing I’m a sucker for! 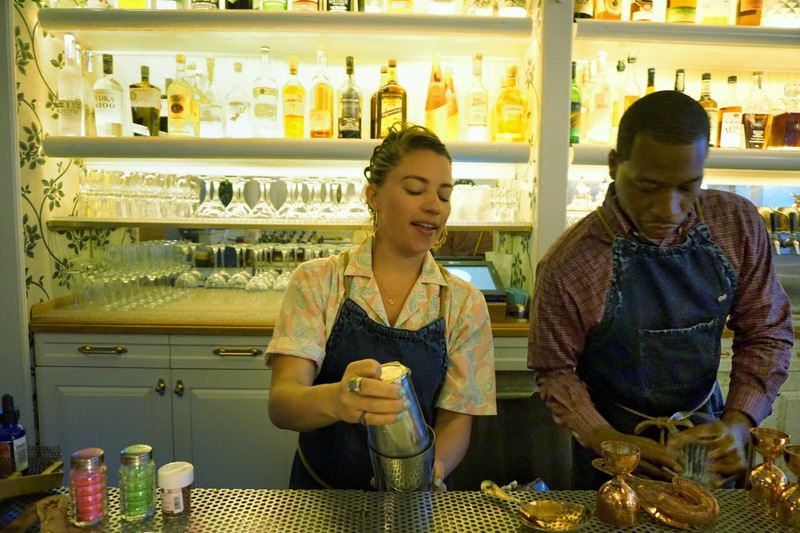 These were my bartenders @brikicksass & @wilroyal. They rocked. They even gave their opinions in a very heated instagram discussion my sister and I were having! Thanks guys! 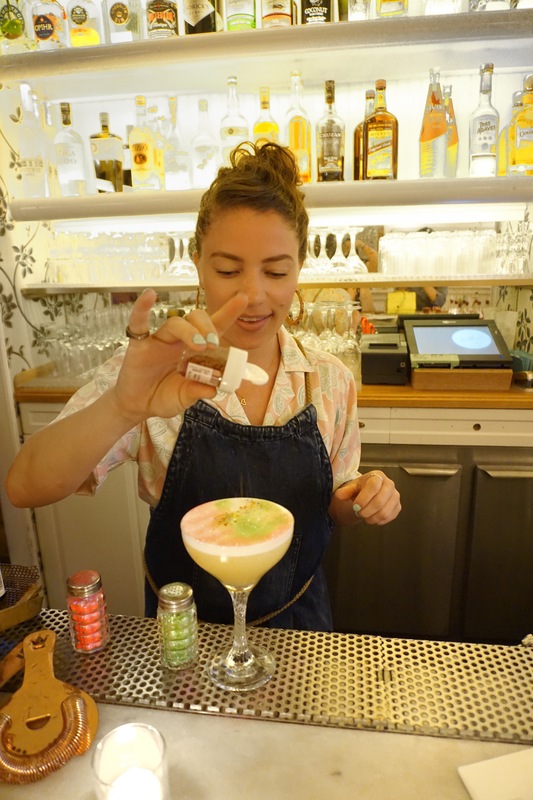 Here is Sabrina topping off the drink with the glitter. It’s called 80’s Glam. I do have to say that the drink was really sweet. I don’t usually like sweet stuff — but it was glittery! So who cares!? I also have a very vague memory of Sabrina telling me the drink had an egg white? I’m not sure if this is a real memory or if my mind is creating straight up lies to justify drinking like a savage? whatever it has protein! Mathews is a super adorable place! I unfortunately didn’t get to try any of the food curse you super sad diet but I hope to be back in the future. Mathews is conveniently located right on Grove Street, about a block away from the Grove Street PATH station. I’ll be back there soon, so I’ll do a follow up post once I do! See you glittery mofos at happy hour! I am so in love if those shoes and just the whole outfit in general!